• Tough, bonded staked nylon point which minimises tip-spread. • Snap fit cap with metal clip for reduced ink dryout. • Barrel colour indicated ink colour. 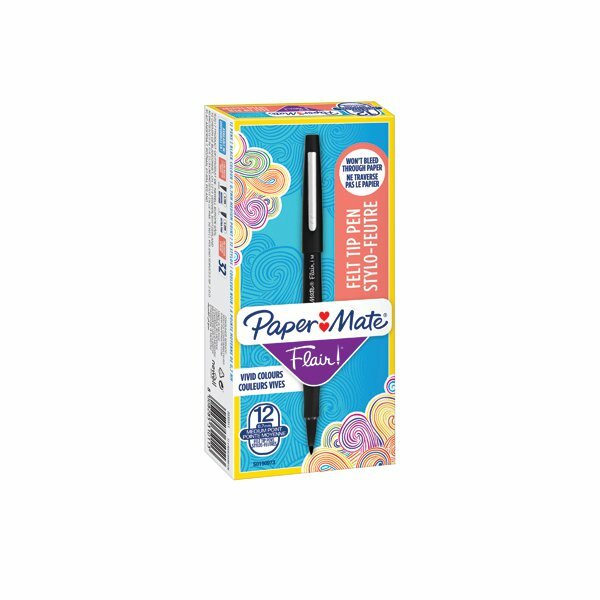 These great quality felt tip pens are long lasting and highly durable, with water-based ink that is quick drying, and smear and smudge resistant. The fibre tip features a durable, metal reinforced point and the ink is designed not to bleed through paper for a professional finish. 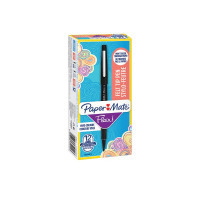 With a medium tip for a 0.8mm line width, ideal for everyday writing and drawing. This pack contains 12 black pens.